The Trust was formed on 3rd January 1545 by Hector Beane, who was a Guild master of the old religious Guild of St Mary and St John in Lichfield, founded in 1387 during the reign of Richard II. During the reign of Henry VIII, the King single mindedly pursued his aim of dissolving the monasteries and seizing all of their possessions. Many charitable foundations associated with religious orders suffered confiscation of their lands as a consequence of Henry’s actions. Hector Beane saw the writing on the wall and in 1546, to avoid further confiscation of these lands by the Crown, the Guild conveyed away its lands at Great Wyrley, Little Wyrley, Wall and Norton Canes to six feoffees (trustees), who used the income generated from the rents to provide and maintain Lichfield’s water supply –and so as a device to protect these assets ‘the Trust was formed’. The main purpose of the Trust was to provide fresh water to the citizens of Lichfield and also to carry out improvements for the well-being of these citizens. Two wardens were appointed to maintain the conduits and six townsmen were appointed to oversee the management of the duly created Conduits Lands Trust. When the Trust was created, Lichfield citizens already benefitted from quite a sophisticated system of water supply. The Franciscan Friary had a piped supply of water from a spring at Aldershawe, as early as 1301. 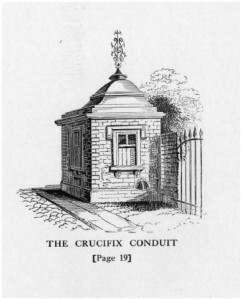 In the fifteenth century a public conduit known as the Crucifix was erected in Bird Street and extended along Bore Street to a conduit at its junction with Conduit Street, and then along Tamworth Street to another conduit at its junction with Lombard Street. 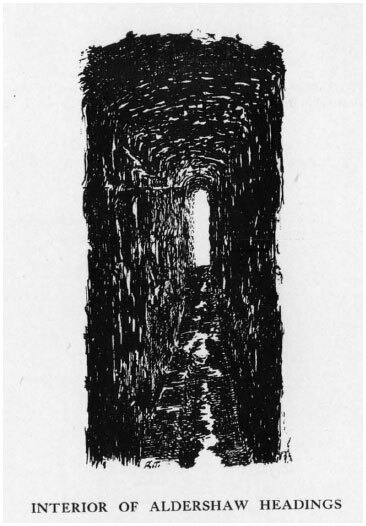 A Market Square conduit was served by a branch pipe running along Breadmarket Street. There were other piped supplies which served wealthy private homes, especially those of the clergy: from the twelfth century The Cathedral Close was supplied by a pipe from a spring at Maple Hayes. Thus, over the following centuries Conduit Lands Trust’s responsibilities grew as their systems were extended and their maintenance became more sophisticated. Besides the provision of water which continued up until the 1950s, the Trust continued to fulfil its commitments to provide in the wider sense for the citizens of Lichfield. Many schemes on a grand scale were undertaken such as paving and lighting in the City, the Guildhall was substantially rebuilt, the clock tower in Friary Gardens was provided and the original public swimming baths at Leomansley were built as was an art school. A market hall and museum grounds were provided as a recreational area, and educational opportunities were promoted when the Free Grammar School was established in 1680 (now King Edward VI). In recent years, the Victoria Hospital, Lichfield Festival, the Operatic Society, Voluntary Transport for the Disabled, Youth Clubs, Scouts and Girl Guides have benefited from funding and contributions have been made to both church and school projects. The Trust also has a long history of helping individuals and of furthering the education of Lichfield’s young residents. Lichfield Conduit Lands Trust Registered Charity 254298. All rights reserved.